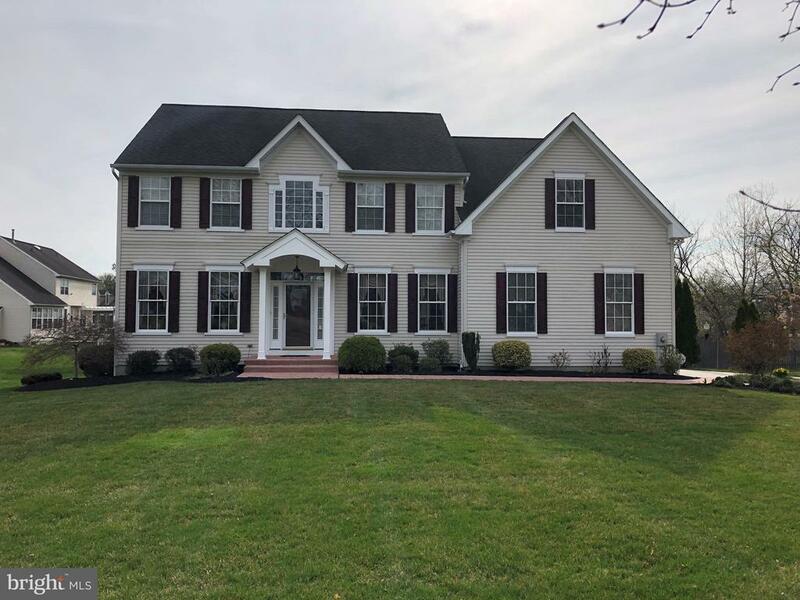 All Mickleton homes currently listed for sale in Mickleton as of 04/22/2019 are shown below. You can change the search criteria at any time by pressing the 'Change Search' button below. If you have any questions or you would like more information about any Mickleton homes for sale or other Mickleton real estate, please contact us and one of our knowledgeable Mickleton REALTORS® would be pleased to assist you. "Nestled on a quiet cul-de-sac of executive homes is a gorgeous brick front home. Attention to detail shows throughout this spacious home. The stately foyer welcomes you home with a grand curved staircase with iron spindles, chair molding with shadowbox detail and gorgeous wide plank Brazilian cherry floors. Even the most discerning chef will appreciate the gourmet kitchen with double wall ovens, 42 top of the line cabinets, custom tile backsplash, a huge walk-in pantry, GRANITE counters, wine fridge and wood floors. Keep the cook company at the tiered center island. Enjoy your first cup of coffee in the sun-drenched breakfast room while appreciating the lush wooded backyard. The family room is open to the kitchen. This sunny room is spectacular yet still cozy. Curl up chilly nights by the cozy gas fireplace and enjoy the GOOD LIFE. Located next to the breakfast room is the sun room. This quiet room is the perfect space to find solitude~read a book~relax and enjoy the GOOD LIFE. Holiday meals and sit down dinners will be a pleasure in the formal dining room. Crown and chair molding, Brazilan cherry floors and the stunning tray ceiling with cove lighting creates a wonderful backdrop for entertaining friends and family. The formal living room has more of the gorgeous wood floors and a marble surround gas fireplace. Master retreat is tucked away in one corner of the 2nd floor in it~s own private wing. The master retreat offers his and her walk-in closets and a private sitting area in master bedroom with floor to wall built in shelving for books, d~cor and TV. At the end of the day, lock the door and pour a steaming bath in the Jacuzzi in master bathroom. Relax and enjoy the GOOD LIFE. The addition bedrooms are spacious with generous closets. Bedroom 2 is a guest suite that offers a HUGE walk-in closet and a private full bath. The WALKOUT DAYLIGHT FINISHED BASEMENT adds lots of additional space for people who love to entertain. 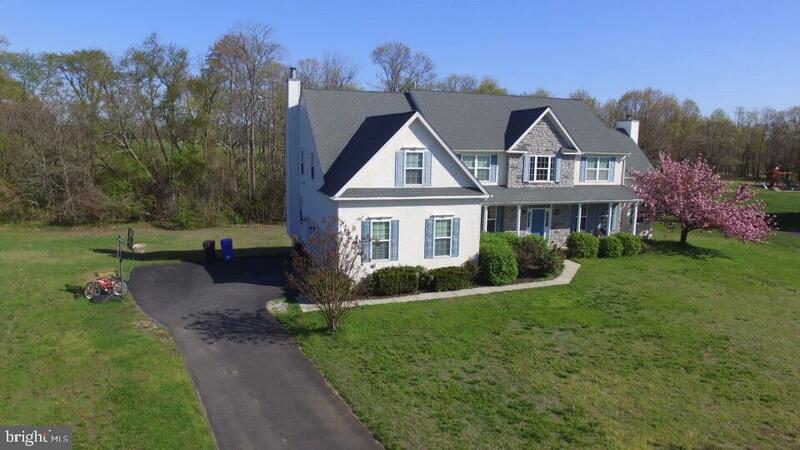 Belly up to the stunning mahogany bar with"
"Simply Stunning 5 Bedroom 4 and 1/2 bath home sitting on a premium lot in Amherst Farms (East Greenwich, Gloucester County) is now available for your family! No expense was avoided in the construction and improvements to this incredible home. Upon your arrival, and seeing the three-tiered water fountain welcoming you to 198 Hopkins, you will admire the attention this house received: beautiful landscaping surrounds property and enhances the hardscaping on the center walkway and driveway. This is truly an elegant home! Tastefully decorated and move-in ready boasting Hardwood Floors throughout the main area, including the Eat-In-Kitchen, Morning Room,and Formal Dining Room. The Master Bedroom features a large 5 piece bath and a huge walk-in-closet. Bedroom 2 boasts its own full bath, while Beds 3 and 4 have a 'Jack and Jill' Bath! There are simply too many amenities to go into great detail, and certainly some will be missed in this write-up, however, others include: In-Ground-Heated Salt water pool, fully operational outdoor covered kitchen, Whole House Generator, 3 Zone HVAC, Full Basement, boasting the 5th Bedroom, Walk-Out to the back yard, 4th Full Bath, Wet-Bar & 2nd Fireplace, and finally, a 3 Car Over sized garage! Like I said, there is a lot to witness. If you are in the market for a house of this magnitude, Make it easy on yourself, and schedule a private tour today so you can actually be enlightened. You will fall in Love!" "I am a 10 yr young gorgeous 5686 sq ft home with a 2000 sq ft finished basement. I sit on a 0.6 acre lot which adjoins to the running track and open grassy area. You will find me in East Greenwich! I have a Large Foyer, Living Room, Dining Room with Hardwood Floors, Kitchen (Eat In) Double wall oven, an array of storage space, recessed lighting to compliment the immense natural light from the full sun doors and the adjacent sun room, granite counter tops, family Room w/ Gas Fireplace and coffered, Office, Sun room, Deck, Formal Dining Room with custom moldings, a coffered tray ceiling and unique Lighting. Mudroom, access to the two Car Garage along with one bedroom with full bath, all on the Main Level. On the third level you will find a large Master Suite with Gas Fireplace and Sitting Room , his and hers walk in closets, a large Master Bath, Lounging Tub, Seated Tile Shower and his and her Vanities. In addition there are three (3) more large bedrooms, one with a private full bath and the other with a Jack and Jill bath, all 3 have walk in closets. For privacy and comfort of the third floor there is also a Family room/Entertainment Room. Now lets go to the Lower Level. I have another Bedroom and Double walk in Shower, Exercise Room, Hot Tub Room (With Hot Tub), Large Living Area and another vent-less Gas Fireplace with Access to the Backyard, Game Room, Billiards. I also have (Wait For It)....a second Kitchen with Cabinets, double sink, microwave, refrigerator, custom counters, bar with 4 person seating. Perfect for entertaining or an in law suite." "This custom home has been designed to perfection with every possible amenity you could desire. It is nestled on a cul-de-sac, four car garage, one attached and one detached by a breezeway. EP Henry walkways..no expense has been spared. This home is perfect for the executive, or a need for single level living with the bonus of the expansive finished basement. The floor plan has an open concept which most buyers love. The grand foyer is such a beautiful way to greet you and your guests. The formal living room, formal dining room, great room with a fireplace, and kitchen are totally open unto each other. The eat-in-kitchen offers quartz counters with a 9~ center island and a 12~ breakfast bar, stainless steel appliance package with the double oven and gas cook-top. The ease of a laundry room just off the kitchen makes life easier too. There are two full coat closets and a powder room off the kitchen. The garage offers easy access off of the kitchen, easy enter, and exit. The master bedroom is such a delight, you have an entry sunroom which could be an office or just relaxation space, with an indoor hot tub hidden behind a pony wall for that privacy. The view is quite amazing and you have total privacy with the wooded backdrop. As you enter the master bedroom you have, a great room with his and her closets, you also have the luxury of his and her bathrooms! Between the two bathrooms is the over-sized closet. Off the sunroom, you enter a 12X24 Trex-decking with a shade pergola. The yard is so beautiful you could entertain a wedding. The lower level which is a complete whole experience in itself could also double as the solution for in-law living, complete with theater area, wine room, wet-bar (that could also double as a kitchen), family room with a fireplace, bedroom/ office with a full bathroom on the lower level. The finished lower level is complete with plenty of egress, the walkout, and also full-size windows which allow for plenty of sunlight. 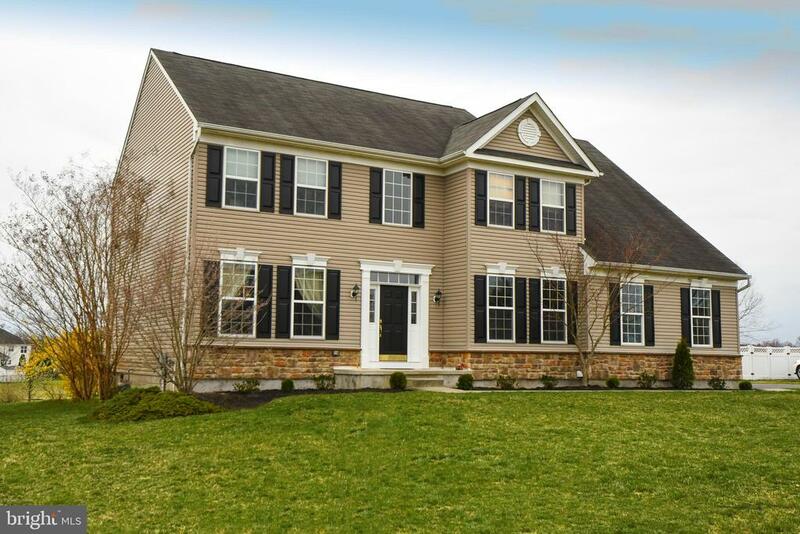 There is an expansive"
"Welcome Home to Beautiful East Greenwich Township! This 4000+ sq/ft Executive Style Beazer home, set on a manageable half acre lot in desirable Mickleton, serviced by sought-after EG Township & Kingsway Regional Schools! Enter through the 2-Story Foyer, with Oak Hardwood Floors & a Beautiful Oak Tread Turned Staircase; This model offers a great Open Concept Floor plan, with a Formal Living Room with Crown Molding, Large Formal Dining Room with Crown, Chair Rail, and Butler's Pantry w/ wine & beverage center; The Chef's Kitchen boasts 42 Maple Cabinets, Stainless Steel Appliances, including Double Ovens, Smooth Surface Cooktop, French Door Refrigerator, Built-In Microwave and Dishwasher; Granite Counters, Ceramic Tile Floors, a Pantry Closet, plus a Breakfast Room with French Door access to the back yard. The kitchen is open to the sun-drenched 2-Story Family Room, pre-wired for Surround Sound, offering a gas-log Fireplace, ceiling fan and 2nd Staircase. This level additionally offers a Study / Home Office, Main Floor Laundry Room, and access to the 2-Car Side Entry Garage. Upstairs to the massive Owner~s Bedroom Suite, with Tray Ceiling w/ fan, attached Sitting Room, Double Walk-In Closets, and a full, ensuite bathroom boasting Double-Sink Vanity, Ceramic Tile Floor, Shower, & Soaking Tub; This level continues with two additional hall closets and 3 more generously sized bedrooms, two sharing a Jack & Jill style full bathroom, while BR 4 offers it~s own full ensuite bathroom. The unfinished basement offers a walk-out staircase and rough-in for a full bathroom. Don~t miss ~ Composite deck with decorative vinyl railing, level back yard with Vinyl Privacy Fence." "Sophisticated Lancaster Model located in the Kings Gate East Community offers 4500+ sq ft of plush living space. Breathless grand foyer welcomes you the moment you step into this beauty! From your open curved two story staircase to your seamless cherry hardwood floors your entrance is just the beginning. Your formal living and dining areas have beautiful hardwoods, crown moldings, and a triple bay window in your dining room. 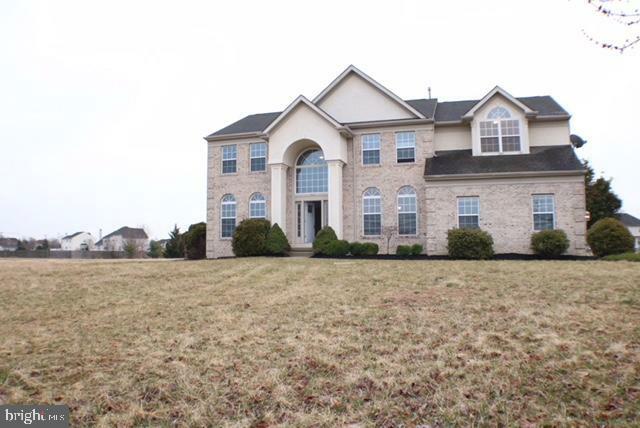 Breathtaking two story stone gas fireplace in family room with an abundant of natural light is great for family gatherings with plush carpeting and open to your kitchen. Beautiful French doors complete your spacious study. Gourmet kitchen offers an oversized center island with pendant lighting, granite countertops, travertine backsplash, double oven, natural gas cooking, walk in pantry, butlers pantry, and hardwood floors. Half bath and large laundry complete first floor of living space. Upstairs you will be delighted with the front and rear staircases and open space over looking your grand foyer and family room areas. Tranquil master suite offers decorative columns that divide your space between your sitting room and bedroom. Both spaces offer tray ceilings and recessed lighting. His and her walk in closets and lavish master bath with corner soaking tub and walk in shower. A true princess suite with large walk in closet. Additional bedrooms are spacious and share a Jack & Jill bath. Need additional space?? Lets check out your massive finished basement. Maybe create a theater room, game room, or just additional living space? This space offers high ceilings, a full bath, plenty of space for extra storage. A few additional features include an oversized two car garage, 3 zone HVAC, and 13 zone irrigation in front and back yards. Conveniently located close to major highways. Put this one on your list!!" "Don't miss out on this beautiful approximately 3,800 SqFt, former model home with 4 Bedrooms, 2 full Baths, and 2 half baths with approximately 1,700 SqFt finished walkout Basement situated on an oversize 1.44 acre lot with the best sunset views right from your back deck. Pride of ownership is evident inside & out with the stone & vinyl exterior and nicely landscaped front yard which is a breeze to maintain with the irrigation system that does the front & side yard and close to the back of the home. Step inside the welcoming 2 story entry foyer with wood flooring & custom trim work. This area opens through French Doors into a home office and a former Living room with crown molding. The open Dining room features tray ceiling, custom trim work and Bay window. You will love the bright & sunny solarium room with 3 walls of windows, custom woodwork and tile flooring. The gourmet Kitchen features hardwood flooring, 42 inch cabinets, tiled backsplash, Granite counters, large center island also with Granite tops, Stainless Steel appliances, brand new double ovens, intercom system and a convenient walk-in pantry closet. This is open to the morning room addition and Family room. The morning room also features hardwood flooring, cathedral ceiling with fan and a door out to a rear elevated Trex type deck. Perfect spot to relax with your favorite beverage after a long day at work watching the most beautiful sunsets. The adjoining family room features cathedral ceiling with a rear staircase to the 2nd floor and a marble front gas log fireplace. Perfect spot to snuggle up to on those cold winter days. The 1st floor also features a convenient powder room with hardwood flooring and 1st floor laundry with hardwood flooring. This area steps out to the side entry 2 car garage w/finished walls and 2 auto door openers. The 2nd floor features front & rear staircases, 4 super spacious bedrooms, walk-in closets, and 2 addition full tiled Baths. The master Bedroom suite features double entry"
"Country living at its best, describes this very unique 4 bedrooms, 2.5 baths custom built one of a kind Prestigious and Absolutely breathtaking Lakefront home in East Greenwich Township. 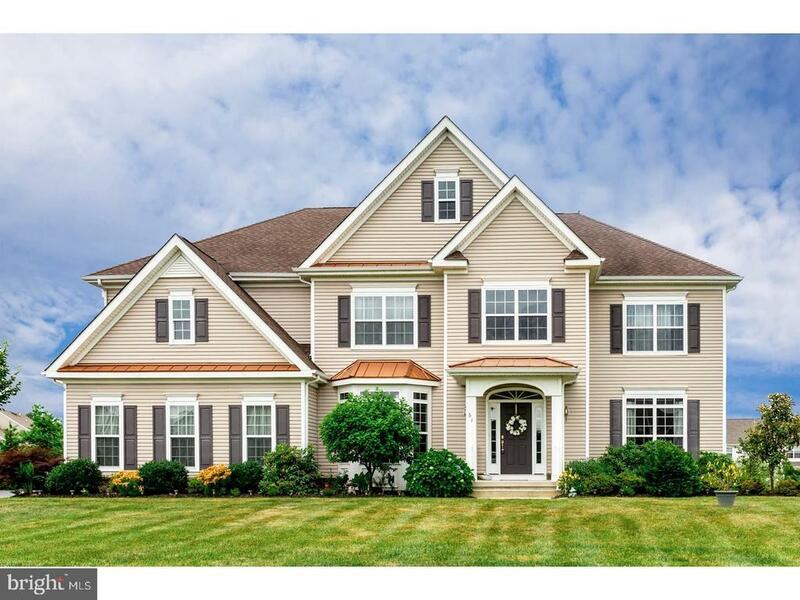 This Maybrook built home is nestled on nearly 3 beautiful acres (235 x 547) in Mickleton and is situated on a cul-de-sac in a community of custom built homes. Perfect for the outdoor enthusiasts! This premium lot has it all; a little bit of Woods, large open lot, a dock on the lake and with an in-ground pool in your back yard. A nature lover's paradise; tucked away and far from the maddening crowds, your own private sanctuary, best describes this beautiful home. This property offers picturesque grounds, privacy and seclusion. The home is well built and well cared for by its owners. All you need to do is bring your things. Upon entering the home you will first notice the views. Go straight to the sunny and bright open gourmet kitchen situated in the center of the home featuring plenty of cabinetry space, tile flooring, large center island, with all appliances included and breakfast nook. Additional rooms on the first floor include the formal living room and dining room dressed to impress with beautiful hardwood flooring. A spacious family room, an office or 1st floor bedroom (you decide). There is also a large laundry area and powder room. The second floor boasts four spacious bedrooms and two full baths; the spacious master suite has a spacious walk-in closet and private bath. The property also includes an attached two car side entry garage, large deck with large fenced-in back yard and shed. The backyard is the perfect spot for all your future backyard parties and BBQ; dreams will be made here, I guarantee it. The full basement includes an enormous great room with a built-in bar and fireplace. The basement area has access to the garage and backyard. Other amenities include fireplace, wide planked hardwood on basement walls, hardwood flooring, custom trim work, 150 amp electrical se"
"Your paradise awaits! Resting within stunning rows of trees, this Exceptional Custom Built Colonial is ready for you to appreciate all of the exquisite, unique character details that went into the design of this home. Located in the highly desired Mickleton and the East Greenwich / Kingsway School District, you cannot ask for a better property. Down the impressive winding driveway, you will be amazed by the Professional Landscaping, Front Porch, Stained Glass front door, and 2-Car Garage that greets you upon arrival. The magnificent foyer welcomes you into the space with gleaming Brazilian Cherry Hardwood Flooring and glides you into the Formal Living and Dining Room featuring a Dual Sided Gas Fireplace with Handmade Delft Tile from Holland Surrounding Both Sides, Parquet Floors, Gorgeous Bay Window and Crown Moldings. Follow through into the enormous Gourmet Kitchen and find Stainless Steel Appliances, a Large Center Island with Built-In Gas Countertop Range which is the perfect setting for cooking holiday meals and entertaining loved ones. Beyond the Kitchen, you will find a room that is sure to delight and surprise ? A Beautiful Atrium surrounded by new Pella Windows that leads out to your Backyard OASIS. Stunning professional landscaping surrounds the custom Two Tiered Slate Patios, Koi Ponds, Beautiful Pergola, and endless space to entertain guests or relax and enjoy the natural serenity. 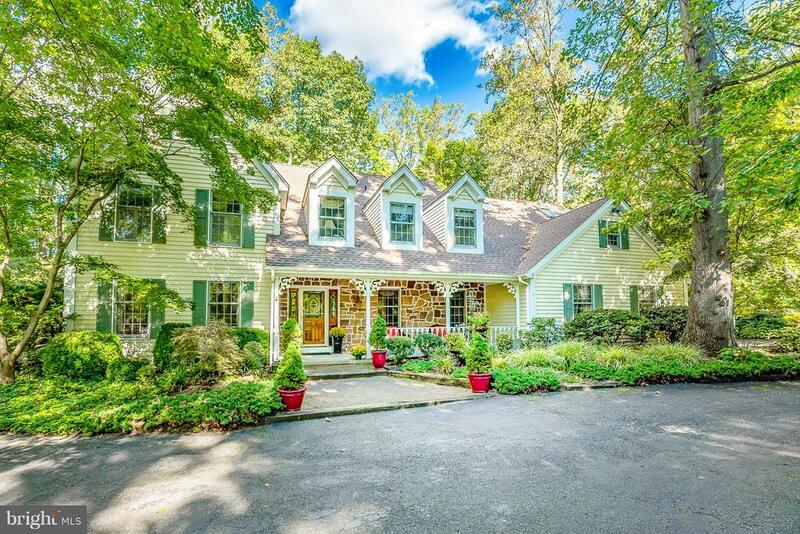 This landscaping is SO beautiful it was featured on the Mullica Hill and Mickleton Christmas Tour, the West Deptford Pond Tour, and the Woodbury Garden Tour! Back inside, find the 2 Story Great Room, with gleaming hardwood floors, Floor to Ceiling Stone Gas Fireplace, Skylights and a Spiral Staircase leading to the Upper Level Loft Game Room with Vaulted Open Beam Wood Ceiling. The massive floor-to-ceiling windows will have you enjoying every season. Glide up the spiral staircase to the second level, where your INCREDIBLE Master Suite awaits, featuring a Gas Fireplace with Mar"
"Welcome to the Oxford model Brick Front at Cedar Village. 3,477 square feet PLUS a finished basement! Main Level features Impressive 18 foot soaring ceiling foyer, Brand New Bamboo Hardwood flooring, office (or 5th bedroom if you add a closet) is right next to half bath, 2 story family room with matching Brick, Real Wood Burning Fireplace, recessed lighting, 2 skylights and stunning balcony overlook bridge. Formal Living and Dining Room, More than Generous size, Elegant Granite Kitchen with all New Stainless appliances. Center Island is equipped with gas cook top, Walk in Pantry and rear butler stair! Eat In area with slider to Brand New rear deck. Kitchen also leads to huge mud/utility room with utility sink and inside access to 2.5 side car garage. 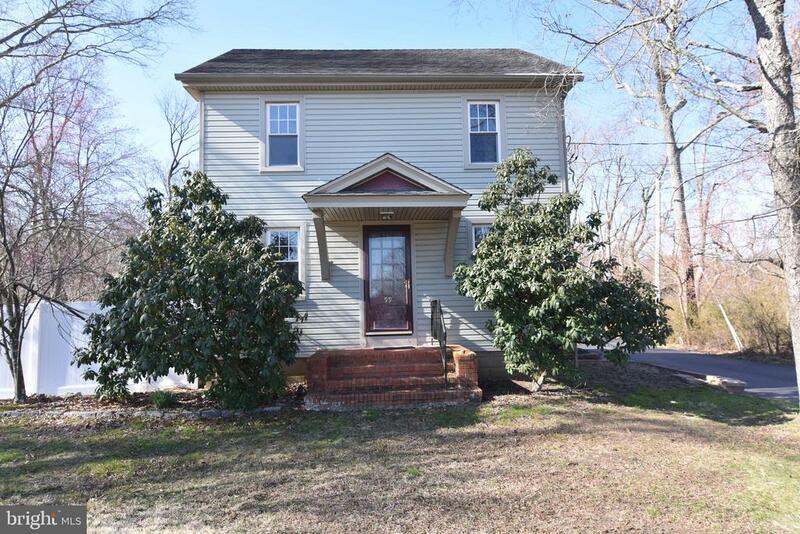 Entire home is freshly painted and extensively trimmed with new baseboards and door/window colonial package. Travel up the Gorgeous wood and white stained staircase which matches Bamboo Hardwood, Spindels and Railings. Here you will find 4 enormous bedrooms. A romantic master with architectural columns, a closet so big, I call it the closet room, and it's own Luxury Bath! 2nd bedroom is a Princess suite with it's own full bath! 2 other large bedrooms and a hall bath. Your finished basement is Brand New with a nice size portian for storage and access to dual HVAC systems. Circle top and stacked large windows add to the Grandure of this executive home. Front location has island buffer from Road with a long oversized driveway. Philadelphia Magazine voted asHotest Suburban Neighborhood Built on a full acre and Priced to Sell!" "Pride of ownership is evident in this gorgeous, impeccably maintained Radcliffe Model in highly desired Greenwich Meadows development. This 4 bedroom 3.5 bathroom home has tons of upgrades and is a perfect ~10~!As you enter is the 2 story dramatic foyer with beautiful staircase with wood plank ceramic tile that continues through the dining room and kitchen. The study off the foyer for home office use is bright and spacious.Entertaining is easy with this open floor plan! The eat-in kitchen has been newly updated with flooring and beautiful QUARTZ countertops, 42~ white cabinets and huge island with barstool seating. The kitchen opens up to a lovely, bright large family room with gas fireplace which is the focal point of the room. The dining room takes in lots of light and boasts crown molding and chair rail.Off the dining room is a living room with French pocket doors that can be used as a sitting room, playroom all depending on your needs. Upstairs is a huge master suite with a tray ceiling an sitting room, 2 walk in closets and master bath with his and her sinks a large soaking tub. There is also ~Prince/Princess~ en suite bedroom with its own full bath and 2 more generously sized bedrooms. There is a full basement waiting to be finished with an extra foot of poured concrete. Other features include 9 zone irrigation, NEWER water heater, NEWER carpeting and fresh paint throughout.Enjoy spectacular sunsets in the backyard which opens up to protected space owned by the HOA, privacy isn't an issue here! Close to 295 and shopping. Serviced by the Kingsway Regional Schools"
"MOTIVATED SELLER. 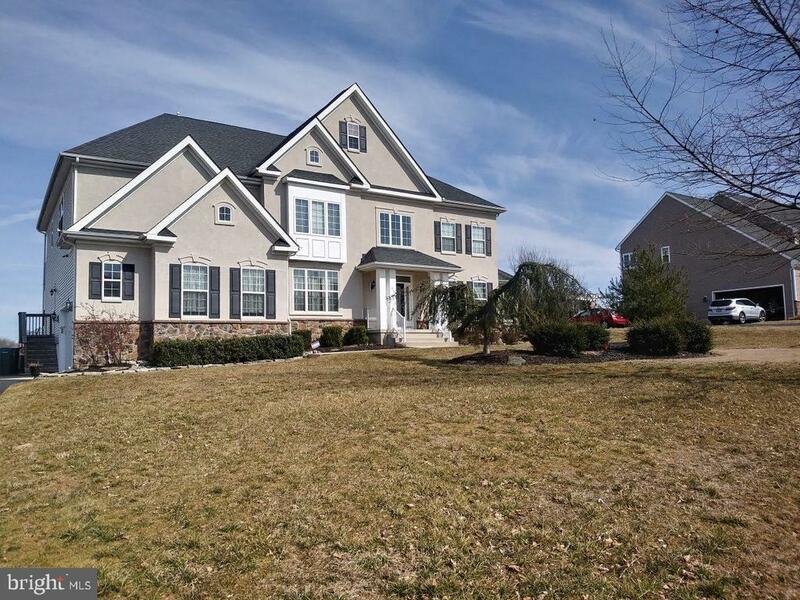 Don't miss out on this Beautiful 4 Bedroom 3.5 Bath with approximately 4,000 sqft ft of living space, plus a finished walk out Basement with approximately an additional 1,500 sqft of finished living space with a possible 2nd Family room, Game room and exercise room. This lower level finished space could be used for many possibilities. 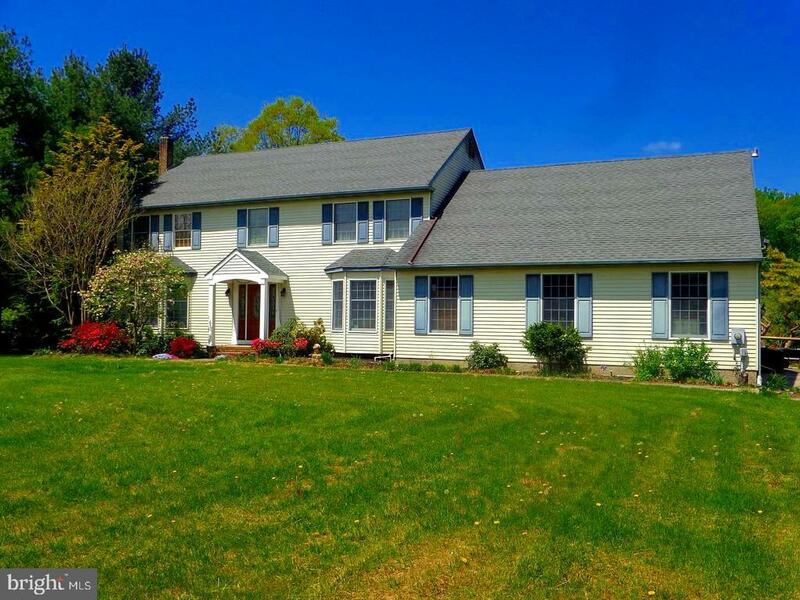 Situated on a 1.13 acre lot in desirable Mickleton area of East Greenwich Twp that features a brand new roof on the main house as well as Brand new siding on the exterior front facing walls on the exterior. Step inside the welcoming 2 story entry Foyer with a circle-top window above and newer Tiger-wood flooring that flows throughout part of the 1st floor. This area opens through a set of French doors into a home Office and this area opens into the spacious Kitchen and Dining room areas. These areas also feature the beautiful Tiger-wood flooring. The updated Kitchen features 42 inch cabinetry with center island, all with Granite tops, undermount sink, upper & under cabinet lighting, tiled backsplash and sliders out to the large rear Trex deck with vinyl railings. Perfect spot for hosting those Summertime BBQ's! The Kitchen opens to the Family room with a 2 story ceiling and cozy warm gas log 2 sided Fireplace that also faces the 2nd home Office. This Office area features a Cathedral ceiling. The first floor also features a 37x20 Great room/ Media room that features a custom built wet bar with wine cooler, beer cooler and built in ice maker. This area opens to the Media room area that is highlighted by the custom built fireplace surround and TV area above. Perfect spot to chill out with the fireplace running, watching the big game on those cold winter Sundays. The 2nd floor features the 4 spacious Bedrooms & 2 full Baths. The main bedroom suite features French doors, tray ceiling, walk-in closet and it's very own Spa like Bathroom. The 2nd floor also features a convenient 2nd floor Laundry room and a front and rear st"
"Priced BELOW Appraised Value to allow for new paint, carpets and flooring. Motivated seller. Stately Colonial. Welcome to the beautiful Roosevelt model located in Summer Meadows built by Heritage Builders. The Roosevelt model is the largest model in this development and this home is the expanded model! Located in Mickleton, this 4276 square foot home backs up against the woods in the rear of the development. A soaring foyer leads your guests to sophisticated living areas. Featuring dual access to the second floor, the towering two story foyer features a dramatic staircase and hardwood flooring. The formal dining room, the formal living room and kitchen are situated off the grand entrance. The oversized kitchen island offers the space to socialize while you are preparing the food. There are double ovens and a cook top as well as a gas range and spacious cabinets. There's an immense pantry, a full bath, walk in closet and office with a fireplace that can also be used as a first floor bedroom if needed. The dining area is surrounded by windows and lightens up any day. The sunroom opens to the outside composite deck. The B room is off of the kitchen and features cathedral ceilings with an array of windows and a gorgeous stone fireplace. The second floor features a master suite with a full bath featuring a jacuzzi tub, shower, private commode area, double vanity, a sitting area and 2 walk in closets. There are three more bedrooms, one with it's own bath and a walk in closet. There's a laundry room on the second floor as well as the basement. There's a sitting area/play room on the second floor as well. The basement is approx 75% finished with an entertainment area with walk out slider doors, another room and a full bath and a private entrance. There's a laundry area and plenty of storage. There's a 3 car garage on main level and much more. Home needs paint and flooring, but at this price, it's got a lot to offer." "Welcome to beautiful Mickleton where the opportunity to build your dream home awaits you! This spacious four bedroom home features a dramatic 2-story foyer, a large master bedrooms suite with luxurious master bath, 3 additional spacious bedrooms, a large great room that connects to an ample living room, a kitchen that is large with plenty of cabinet and countertop space that flows into a breakfast nook! The rendering of this home features a one car garage with breezeway that can be opted to a 2-car side entry garage! This lot is 1.95 acres and is situated on a beautiful street lined with custom built homes. Full basement included! Options and standard amenities available upon request!" "Your eyes will light up the moment you enter this beautiful Pond & Spitz home. The open and airy entrance foyer welcomes you to a sweeping view of the Family Room with marble-faced fireplace, formal Dining Room, Living Room and Kitchen area all at once. The gleaming hardwood floors walk you through the spacious rooms that lead to the gourmet Kitchen featuring quartz countertops, stainless steel appliances.....cabinetry and a tiled floor. Sliding glass doors lead out to an inviting patio perfect for relaxing evenings or barbeques. An Office, Powder Room, Laundry Room and access to a 2 car Garage round out the 1st floor. When you reach the top of the stairs to the second floor you have a view of the Family Room from the spacious balcony and access to 4 Bedrooms and 2 Bathrooms. The Master Suite is a haven of comfort complete with a full tiled bath featuring a soaking tub, shower stall, 2 walk-in closets and a private Sitting Room. A finished Basement provides lots of storage and a space for a playroom, gym or man-cave. Don't miss your chance to be the new owner of the lovely property!" 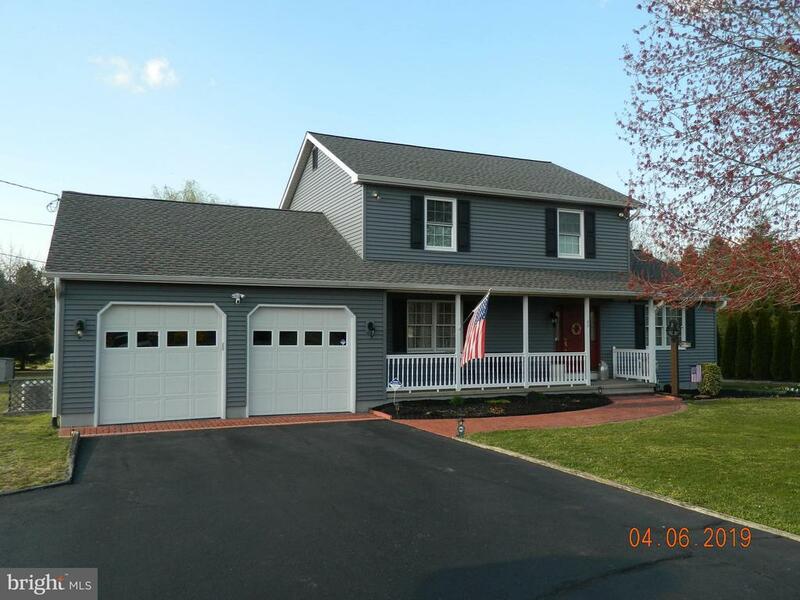 "A beautiful well-maintained two-story home in the Mickleton section of East Greenwich Township. The home has three bedrooms on the second floor of the home. The master bedroom is a nice size with a ceiling fan and an updated master bathroom which includes a new vanity and comfort height toilet as well as a Bath Fitter shower stall with a transferable warranty. The other two bedrooms on the second floor of the home each have Pergo floors and ceiling fans and both of the other two bedrooms also have updated vinyl dual pane replacement windows. All the other windows throughout the home are Anderson windows. On the second floor of the home there is also a large size full bathroom, which also was updated approximately five years ago with a new vanity, comfort height toilet and a Bath Fitter tub and shower with a transferable warranty. The kitchen has Corian countertops as well as a backsplash and newer appliances, which include the microwave,stove and Bosch dishwasher. Adjacent to the kitchen is the laundry room/mudroom with access to the backyard and the garage. There are cabinets in the laundry room along a convenient laundry tub. Both the washer and dryer are also included with the sale of this home. The kitchen and the living room are separated by a nice wooden set of saloon doors. In the nicely sized formal living room in the front of the home, there is a Pergo floor and ceiling fan. The family room on the first floor of the home is also a generous size, with newer carpet and neutral colors. The family room has a cathedral ceiling with ceiling fan. The dining room, which is adjacent to the family room and kitchen, has Pergo flooring along with sliding glass doors to the rear deck. There are also solar shades installed on the sliding glass doors. The basement,which is approximately nine feet in height, is partially finished with a play room and small office as well as an area with a workbench, pegboard and wood shelving for all of your tools. The basement also provid"
"Welcome Home to Mickleton, NJ! Great location for commuting. Serviced by sought-after East Greenwich & Kingsway Regional School Systems. Set back from the road on 0.81 of an acre, this 2500+ sq/ft remodeled Bi-Level home is ready for immediate occupancy - with lot's of NEW! NEW Heating and NEW AC, NEW Water Heater, NEW 4-BR Septic System! Freshly painted throughout. The over-sized garage has a NEW overhead door with NEW door opener. NEW durable vinyl plank flooring throughout, NEW carpet in bedrooms. The main level offers an updated kitchen with NEW Stainless Steel Appliances, plus Granite Countertops, Backsplash, Ceramic Tile Flooring, 42 Maple Cabinets, plus breakfast bar & a pantry! The dining room offers sliding glass door access to the back deck. The sun-drenched living room offers a huge picture window & a wood-burning fireplace. This level additionally offers a Master Bedroom with full ensuite bathroom (with sliding glass door access to side deck), two more bedrooms (one with sliding door access to the side deck) and a full bathroom with skylight. The lower level boasts a spacious family room with NEW Electric Fireplace, a Home Office or 4th Bedroom, a laundry room, full bathroom, plus mechanical closet and access to the attached, over-sized garage. There is nothing to do here except to bring your things!" "Welcome to East Rattling Run Road where you can build your dream home on close to 6 acres of beautiful cleared land that is currently being used for farmland. Let your imagination run wild to all the possibilities of living on this beautiful street in Mickleton surrounded by trees, fields, gorgeous homes and a nearby park. This piece of land is two separate parcels with each having their own block and lot. Lots of road frontage. 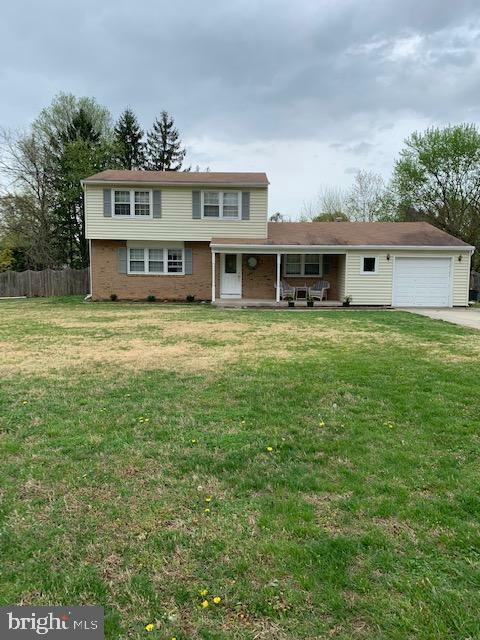 If you have ever thought of building your own home and having plenty of room for a backyard oasis with a pool and even your own small farm or room for horses, come check out this peaceful area. 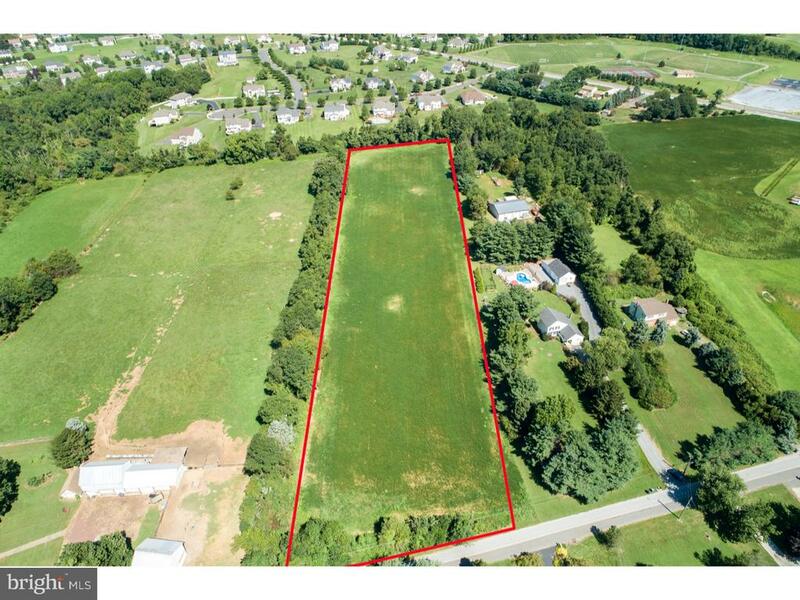 Great chance to own land that is much bigger than an average development lot but also not too overwhelming. Kingsway Regional School District." "This two-story home located on a half-acre lot in the desirable Harmony Acres section of Mickleton will immediately capture your attention, particularly with its tasteful brick and vinyl siding. With meticulous landscaping and a long driveway, the exterior of this home will be the envy of all your neighbors. This property comes complete with a living room and a formal dining room, which allows you plenty of space for entertaining guests. Speaking of entertaining, you~ll feel relieved to know that this home includes a gorgeous eat-in kitchen with a pantry closet, a microwave, and a refrigerator. Invite your friends and family to enjoy chef-inspired meals in this lovely dining space. Both bathrooms have been updated with vinyl flooring, new paint, and vanities. Carpeting can be found throughout the living room, dining room, and family room, as well as in each of the three spacious bedrooms included inside of this home. The master bedroom has double closets and one of them is a walk-in, which is perfect for any fashion-conscientious individual. The walk-in closet is the size of a shed and even has electricity! The laundry room is a very nice size and comes with a washer, dryer, and a laundry tub. You~ll be sure to enjoy your time outdoors sitting outside on either the front or back porch that is included with this incredible home. You'll also enjoy your time soaking up the sun by the in-ground pool! Summers couldn't be better spent anywhere else. 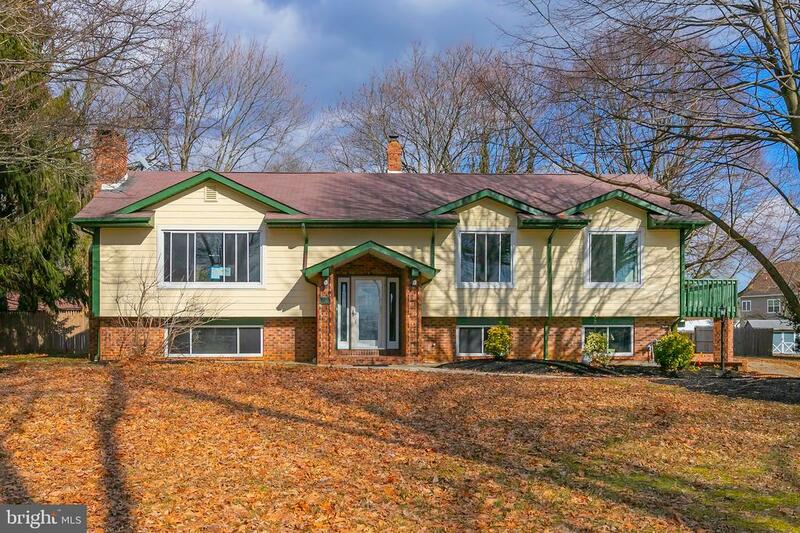 This location is also in close proximity to an excellent elementary and secondary school system. Don~t miss your opportunity to live in this beautiful home!" 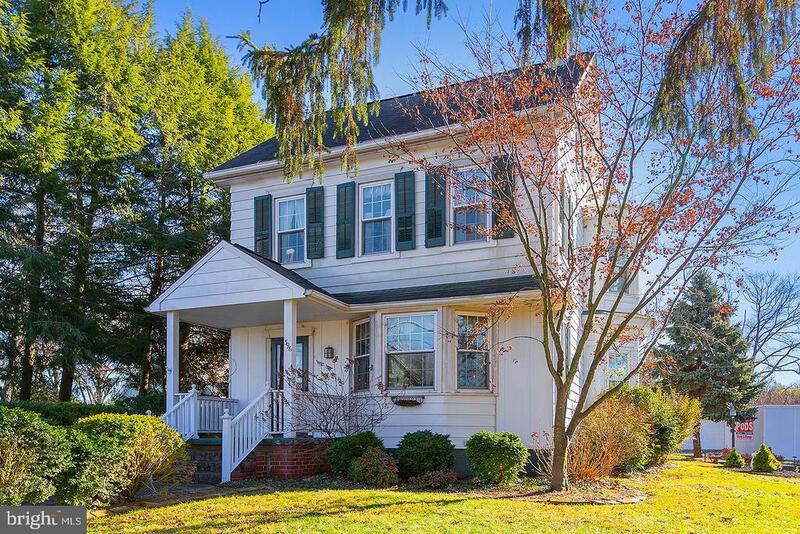 "You'll love this beautiful colonial home set on the picturesque and bucolic Kings Highway in East Greenwich Township. The home has been very well maintained and features many recent upgrades. The large living room boasts a gas fireplace and leads to the bright and sunny dining room featuring many built-in cabinets. The kitchen has new Quartz counters, a new subway tile back splash, and new microwave, stove, dishwasher, and disposal! Enjoy gatherings on the back porch located right off the kitchen. Upstairs, you'll find three generously sized bedrooms, a full bath, and entrance to the walk-up attic which can possibly be used for more living space. The electrical service to the house has been upgraded to accommodate the new, dual-zone AC system. Many rooms have been freshly painted. 2 car garage." "Want to move to East Greenwich? Here is your chance! 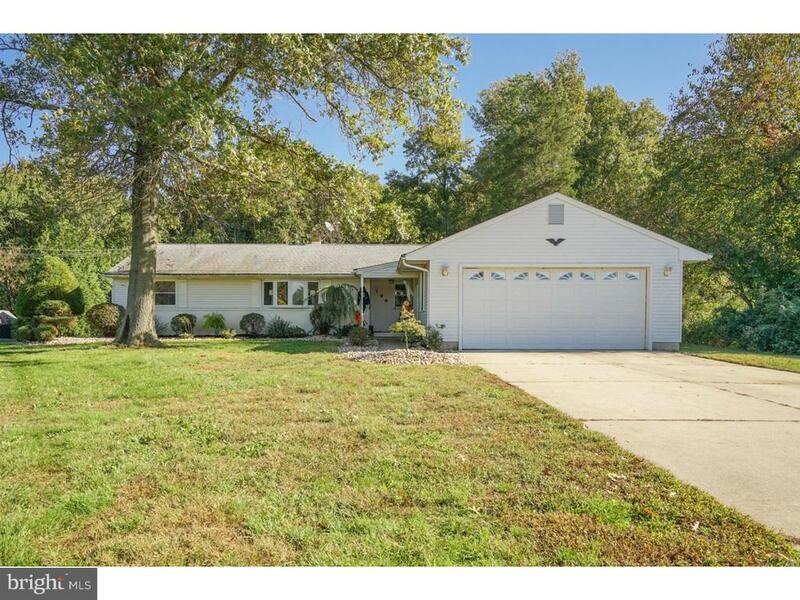 Affordable ranch in country setting yet close to major highways and shopping. Downsizing or just starting out, this home can easily meet anyone's needs. Enjoy one floor living with the conveniences of an eat in kitchen, a mud/laundry room, nice sized family room and lovely sunroom off the rear. This home is inviting and cozy, but next summer you will be able to enjoy swimming in the beautiful in-ground pool! Private and picturesque, the large backyard is well-landscaped and also offers am over-sized shed that would be the perfect spot for a workshop or for an auto enthusiast. This home also features a two-car garage and plenty of driveway parking. Come tour this home and make it your own." 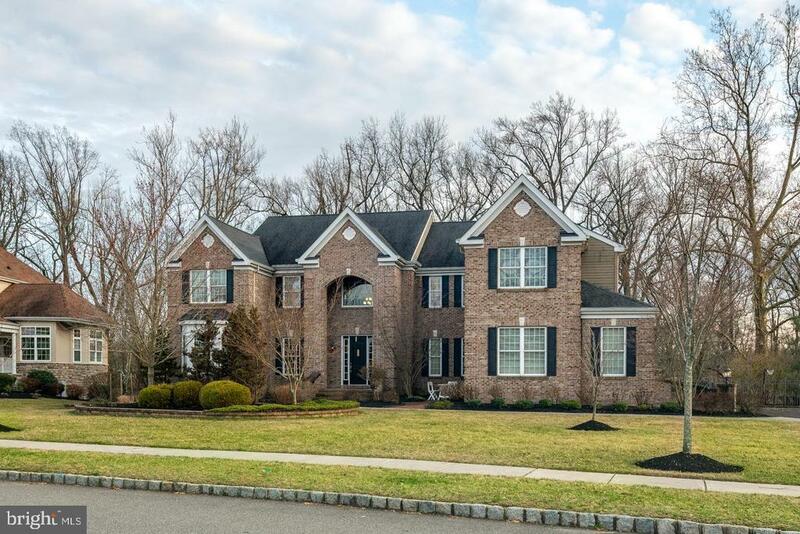 "Nestled in the lovely community of Mickleton, NJ and sitting on nearly an acre lot sits this incredible 3 - 4 bedroom home celebrating the by-gone years, as well as giving you the modern amenities you come to expect, is now available for sale! This home is gorgeous! And in move-in condition! The home has many features desired: Front Door Portico flanked by two Rhododendrons (Although I think they look like Magnolias!) will welcome you home! Side Door entrance off the driveway giving you access to the basement or kitchen and the exterior decorated with wonderful hardscaping! 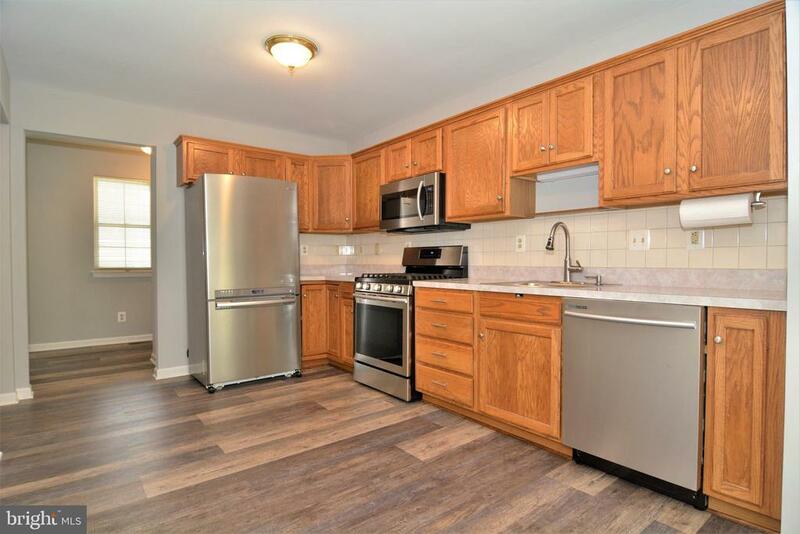 The Eat-In-Kitchen offers updated cabinetry with soft close feature along with Granite counter tops, a tile back splash, and hardwood flooring. There are plenty of storage options here! Adjacent to the kitchen is the back deck that gives you entrance to the back yard that has a beautiful serene setting and a fenced in ~pet~ area, a parking 'pad, along with some open space! The Dining Room and Living Rooms are a great size and boast woodworking that only a house of dignity can offer. The 2nd and 3 floors, offers 3 - 4 bedrooms, or simply use the ~bonus room~ as you wish! The unfinished basement will give you great insight into how well cared for the house is! The owner has upgraded the electric, installed a tank-less hot water heater, a sump-pump with battery backup and has also insulated the entire house! Simply put, if you are interested in an older home, but do not want to deal with all of the upgrading, this is it! Call and schedule your appointment today!" "Wow what a treasure!!! This home is move in condition and looking for a new owner. This home features all new flooring including new carpeting and waterprooof rigid core vinyl plank flooring. Freshly painted walls through out home. The owner has installed NEW stainless steel range, dishwasher and microwave. The bathroom has been updated and showcases a new vanity and top."